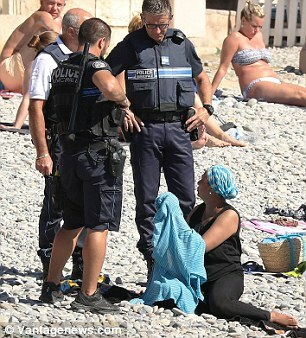 Four burly cops stood over the middle-aged woman, who had been quietly sunbathing on the Promenade des Anglais beach in Nice – yards from the scene of the Bastille Day lorry attack – and watched her take off a Muslim-style garment which protected her modesty. Three armed officers pointed a pepper spray canister in the 34-year-old’s face and told her she was in breach of a new rule outlawing swimming costumes that cover the entire body. 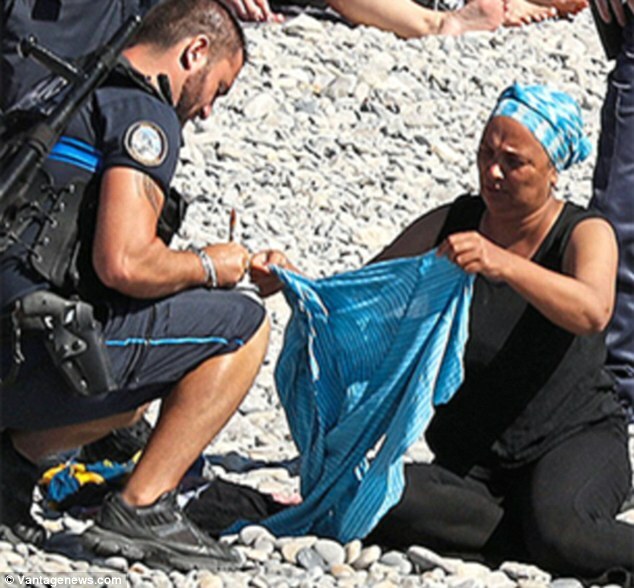 She said the ‘racist’ officers simply wanted to humiliate her in front of her children and other family members, even though she was not even wearing a burkini.